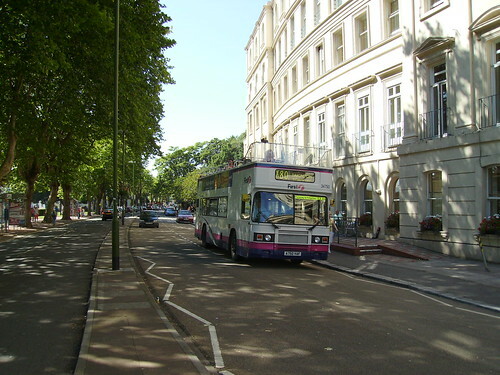 One of two First open top buses plying their trade betweenPaignton and Torquay. 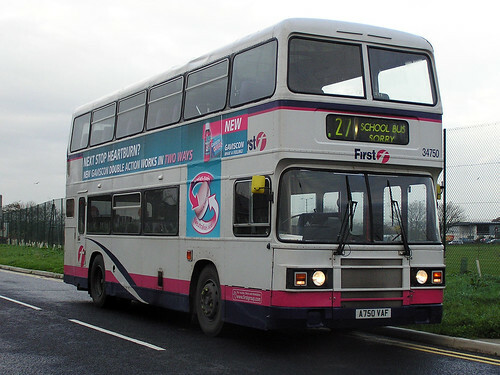 This bus was delivered new to Western National in 1983, but recently was deroofed trying to get under a low bridge, and has been converted to a permanent open top bus as seen. 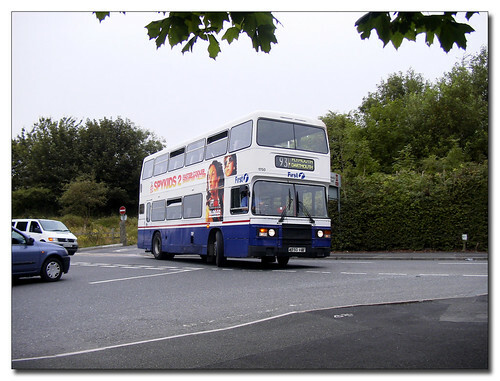 This is the 750th posting on Plymothian Transit so I thought it would be good to celebrate with a few photos of A750VAF the first of Western Nationals batch of Olympians. Very funny with the wrestling site showing pictures of Olympians and VR's! Good photos by the way, but I have noticed that the front opening windows have been removed. Is this some kind of stupid safety feature? 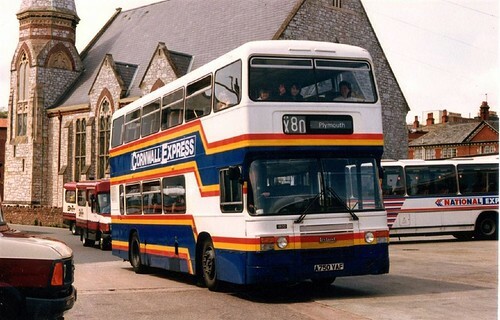 I drove 1800 hundreds of times when it was on the 83/84/93 routes. The Olympians were vastly inferior to the VRs and were seriously underpowered in my view. I later drove Olympians in London, and found them to be much better than the useless crates Western National had.